Superdry women's Rachel peekaboo top. 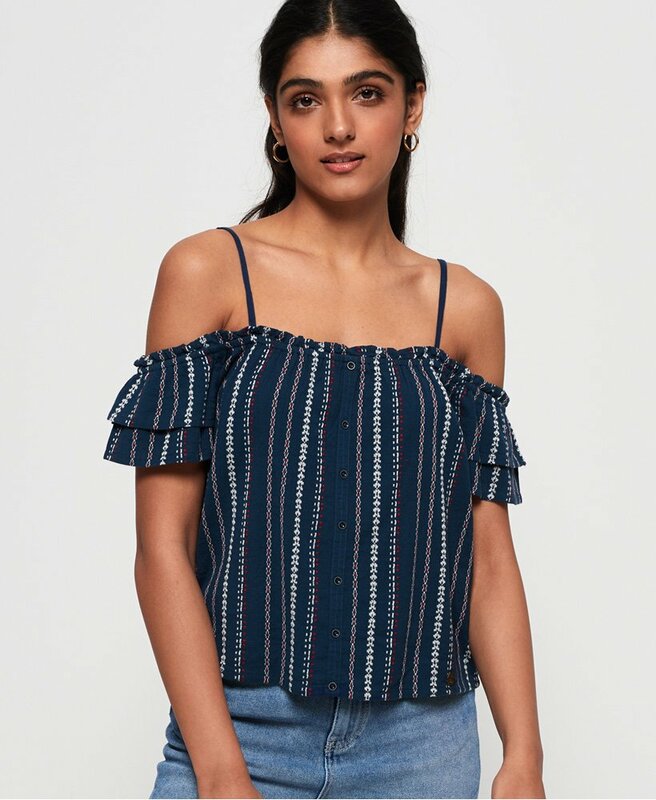 This top features an off the shoulder design with small adjustable straps and short layered sleeves. Finished with a front button design and a metal Superdry badge above the hem.